I grew up in the Windy City (a.k.a Chicago, Illinois) and went to college at DePaul University where I studied business management. After college I managed an advertising agency and started selling real estate on the side. I have just celebrated my 24th year in the real estate business. For the past 18 years I have resided in California and have been selling real estate. Every listing I have had has resulted in a successful sale, which I attribute to intelligent price positioning and marketing strategies. I have been a top producer of my office every year and I have placed in the top 2% Nationwide. 2016 Beautifully Remodeled 5BR, 5BA home. This special home offers indoor/outdoor living at its finest! Grand sized Living room w/fireplace, French drs to front patio & opens to large formal dining. Chef's kitchen, Wolf, Sub-Zero refrigerator, 2 dishwashers. 2 Carrera isles & bkfst booth lead to family rm w/fireplace, plus en-suite guest/office. A sitting area upstairs leads to hidden bonus rm. Mstr. suite includes a fpl, sitting area, bonus rm & walk-in closet. Carrera Marble bathroom, his/her vanities, sumptuous shower, & freestanding bathtub. 2 additional bedrooms share a large bathroom w/tub & shower & 2 vanities. En-suite 4 th BR w/walk-in closet. Private lush yard w/Encaustic tiled patio & room for a pool, mud rm & laundry. 3 Car gar. BRENTWOOD POLO FIELDS. Great opportunity to buy 3800+ sq ft property in this location & at the price! A touch of romantic European charm welcomes you to this warm, elegant and pristine condition 3/3.5 traditional home in this coveted area. Close to ocean, Riviera Country Club, trendy shops & restaurants & prestigious Paul Revere Middle School. Recently constructed lavish romantic wing w/ exquisite designer details complete with its own living room w/ vaulted ceilings, marble fireplace, bedroom, bath w/ bidet & impressive walk-in cedar closet. French doors open to private bckyrd. Unique floor plan offers 3 oversized distinct and sophisticated master suites w/ lots closets, large foyer, large formal LR, 3 fireplaces, formal DR, cozy family room w/ wet bar & fireplace, & granite kitchen w/ bright breakfast area. Beautiful 3BR, 3BA sunny townhome built in 2005 in Franklin School District. Close to Montana, shops & restaurants. This home entails hardwood floors throughout, high ceilings, skylight on main living floor and many upgrades. Fireplace in living and dining room, patio for barbecue plus gourmet kitchen with Wolf range and Subzero refrigerator. Large loft off main living space which could be an office/den and leads to a roof patio with views of the city! 3BR's down with two designer baths. Bonus room for laundry, 2 car private garage. Designer perfect Ocean view Penthouse remodeled in 2014 on Ocean Avenue in Santa Monica. This stunning residence has an open floor plan with natural sunlight, Brazilian redwood hardwood floors, 12' ceilings, and ocean views. Gourmet kitchen includes white Cesar stone counters, Grohe faucets, gorgeous cabinetry, Sub-Zero glass refrigerator, Miele and Wolf appliances plus built-in booth in breakfast area and balcony. Dining room entails gorgeous built-ins with a marble counter and U-Line wine refrigerator which opens to the Living room with high windows overlooking Palisades Park and magnificent ocean views, marble fireplace and built-ins. Master has large walk-in closet, spa-like bathroom and ocean views from the bedroom. Second bedroom en-suite has mountain views. State-of-the art lighting, alarm , & Sonos sound system. Laundry inside. 2 Car S/S Pkg. Close to shopping and restaurants. Newer electrical, plumbing & HVAC. Truly a Storybook 6BR, 5.5BA traditional home perched on a beautiful tree-lined street in Little Holmby! This renovated home has loads of character! Enter the foyer, to the right is an office with built-ins, custom desk & a lovely powder room. Gourmet kitchen offers top of the line appliances, Island and breakfast area plus desk w/built-ins leads to a formal dining room with a beautiful bay window looking onto the patio. To the left of the foyer is a large living room with high ceilings and a cozy fireplace which leads to a sunny family room with custom built-ins and fireplace that opens through French doors to the back yard. Upstairs entails a large master suite with his/hers baths and closets, 2 additional bedrooms with shared bath, one en suite bedroom, & custom built-ins in the hallway that leads to 5th Bedroom/kids playroom. Laundry and maids room off the kitchen. Large grassy yard with patio for entertaining, built-in Viking barbecue, over sized garage for extra storage. Remodeled 4BR Spanish with 5.5 Baths on a beautiful tree-lined street in Franklin School District. Entertainment home w/French White Oak hw flrs throughout, large kitchen w/Carrera & Caesar stone counters, white cabinetry, Sub Zero Refrigerator, stainless appliances, huge island w/cooktop, breakfast area which opens to the front courtyard garden. Beautiful dining with bi-fold doors that lead to a patio with a tranquil fountain. Living/family room has cathedral ceilings, fireplace, bar & French doors leading to zen-like patio. Downstairs also has one bedroom suite, newly remodeled bathroom w/ Carrara marble & soaking tub plus shower, Plus a laundry rm off the kitchen. Upstairs entails a sumptuous master suite, adjoining rm which could be nursery/office + private balcony. Newly remodeled master bath w/Carrera marble, new vanities, spa tub, & two walk-in closets. Two additional BR suites w/private balconies. Grassy yard w/ long driveway, built-in bbq & 2 car garage. Beautifully remodeled 4BR, 4BA home with loads of character in Franklin school district! The home entails a large eat in kitchen which opens to the family room. Sumptuous living room has a fireplace, high ceilings, hardwood floors and opens to the dining room. One bedroom suite downstairs for guests or maids room. Upstairs has three bedroom en-suites and spa-like master bathroom. Large yard w/bonus room and garage, salt water pool and hot tub. Gorgeous 3 Bedroom, 3 Bathroom Traditional home exquisitely remodeled! Great flow for entertaining with formal dining & living area, hardwood floors, beautiful moldings, two fireplaces, top of the line appliances, security & stereo system throughout. Large gourmet kitchen with breakfast area that leads to the family room with french doors to a cozy backyard with built-in-barbeque, fireplace, and views of the City and Canyon. Gorgeous remodeled traditional home in Franklin school district. Gourmet kitchen with stainless appliances, hardwood floors throughout. Master suite with beautiful bathroom and spa tub. Large yard plus garage converted to a nice bonus room. Gated parking from the alley. Available now! This is to offer an unqualified enthusiastic recommendation for Susan Kastner, our realtor for four real estate transactions in Santa Monica over a period of three years from 2013-2016. Susan is a consummate knowledgeable professional with excellent depth of experience and intimate knowledge of the real estate market in her area. She was our realtor for the purchase and sale of two different homes in Santa Monica's exclusive neighborhood North of Montana. She gave us excellent advice in purchasing both homes and effectively managed to negotiate and close the sale on each home. When we moved further north to Santa Barbara County and decided to sell both homes, she gave us excellent advice on pricing the homes for sale, so much so that they both closed in the same week! We bought one of the homes for our residence and lived in it for a year. We bought the other home as an investment and spent a considerable amount of time renovating and developing it. When it came time to sell the spec house, Susan advised us on the price, but we didn't listen to her, which was a mistake on our part. The house sat for many months until we accepted her advice and then it sold quickly. We followed her advice on upgrading our residence prior to putting it on the market, and again followed her advice on pricing the home. It sold very quickly above our asking price. Susan doesn't waste words. She operates at a fast clock speed. She is efficient and focused. Beyond all this, though, I most appreciate her sense of market pricing and timing. I encourage all to carefully consider her advice. Her keen market sense of the market is a significant benefit to her clientele. Susan is a consummate professional, great to work with on either side of real estate transaction. AS out- of- towners looking for the perfect pied a terre in Brentwood or Santa Monica, we needed to rely on someone who knew the area cold; who knew what was available and what was likely to become available; and who could quickly figure out what made us tick and what turned us on and off. Susan came into our life like a dynamo and cut to the chase. We only had limited days to choose an apartment, and she made us work diligently-- dissecting each apartment we viewed—what was good; what was bad. This enabled her to sharpen her search and within two weeks we had found the perfect apartment. Then the hard part—negotiating the deal. She was a great ally and advocate, and we are very well pleased with our choice, our price and our real estate broker. Working with Susan Kastner at Partners Trust exceeded any of my expectations. As a first time home seller, Susan listened to our needs, guided us throughout the entire process, and delivered on her promises. Susan has an uncanny ability to communicate Real Estate and after my experience in working closely with her, I now understand why she is at the top of her game in the highly competitive real estate industry. Truly a joy to work with...I would highly recommend Susan! Susan's expertise, experience, and absolute dedication to our needs allowed us to get the best possible deal in this challenging environment. Her superior knowledge and understanding of the intricacies of the housing market are invaluable and unmatched. Above all, Susan has become a great friend! Susan represented us in our purchase of a new house on Moreno in 2007. She was a true professional in every regard. Susan possesses the negotiation skills, intelligence, market knowledge, and integrity to be a leader in her field. I would recommend her highly representing either the buy or sell side, especially in this tough market. Susan Kastner is a consummate pro. People-oriented, understanding, and a superb communicator with forward-looking style. She is impeccable with every detail. And keeps larger issues firmly in mind. Although our transaction was a complex one, with much input required, Susan was always responsive and extraordinarily helpful. Her focus was on producing a win-win transaction — one that left both parties feeling satisfied by virtue of her engagingly pleasant manner. In short, Susan earned our trust by consistent, cheerful, effective performance. And she gained sufficient rapport with the buyer that a happy transaction occurred despite lapses by the buyer’s agent. 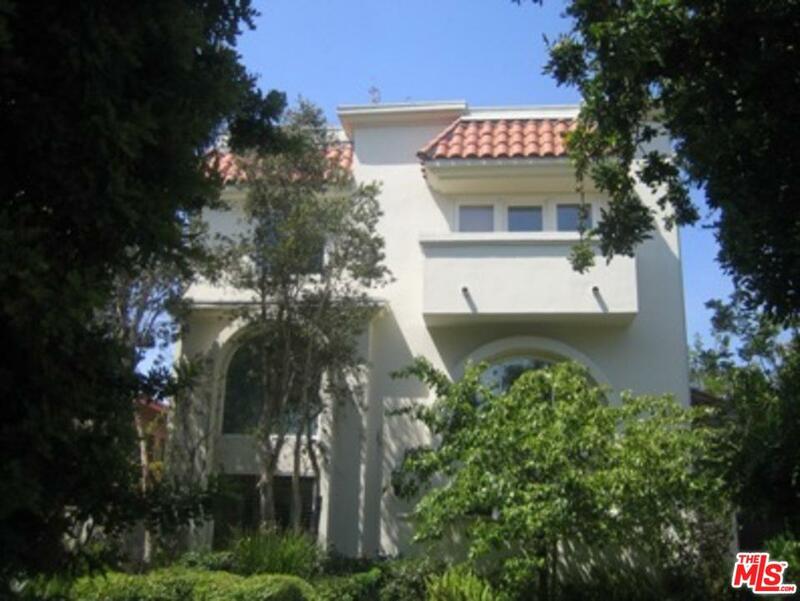 We would recommend her highly to anyone who wishes to sell or purchase a unique or high-end, LA-area property. Simply put, Susan Kastner is the best! My husband and I heartily recommend Susan Kastner to anyone selling or buying a home in Brentwood or surrounding areas. We recently sold our home of 20+ years and she was the listing agent we chose. We found her to be professional, hard working, and fun to work with. Her approach to the valuation, listing and open house approach, and closing process were outstanding. She engaged other experts, explained things well, gave us good options, and her recommendations were right on. We had a very successful sale. \"I've learned that you have to keep a close eye on the housing market. New properties, prices, loans and trends change every week. We know that Susan works especially hard to keep on top of things. She will be aware of any new home that becomes available because she makes the effort to go and see each and every one of them in person so that she can keep us appraised of anything that she feels will meet our needs. It's nice to know we have an agent who has our backs covered.\"
Susan was amazing. My wife and I were really focused on finding the right home for us to begin to build our family. Susan worked with us throughout Santa Monica to find a place. She helped us negotiate a great deal and make the closing process go quite smooth. We are so happy with our house and are thankful to Susan for all of her help, her commitment to finding the right home, and her attention to detail to ensure a smooth process. Thank you. Susan, aside from being a pleasure to work with, has the unique ability to quickly get in tune with a buyer's needs and tastes which made finding my home in the Palisades an enjoyable, productive and successful endeavor. Susan Kastner is fabulous. I don't say that lightly, I'm a very tough critic, but the experience that my wife and I had, while buying our home in Brentwood, was a true joy. Susan is knowledgeable, experienced and very savvy. She spent a great deal of time with us on all the details and really walked us through the entire experience in a very comfortable way. Susan has just the right balance of aggressiveness and patience and went all out once we decided on a home to buy. I highly recommend Susan Kastner. Susan Kastner has been our realtor and real estate advisor on dynamic market conditions in Santa Monica for 18 months. She has taken us up a steep learning curve rapidly and effectively. This has included purchase of two different properties North of Montana, one as our residence for the past year and another as an investment. For the investment property she persisted with us in finding increasingly better deals until finally she had a pocket listing that absolutely fit our desired goals. Beyond this, as part of her relationship services with her clients, she has given us her time and advice on remodeling the investment home. This includes a referral to an outstanding market sensitive architect/contractor. We have designed the remodel with their valuable input. Additionally, we are turning our residence into a rental property because we are retiring. Both Susan and the architect/contractor have given their input and ideas on how to optimize our home for rental income. We cannot be more appreciative of Susan Kastner and her deep market expertise. Beyond this, the lady knows how to get the sale and close it. She's fast, efficient and with her office assistant, Stacie, they get a lot of work done in a short amount of time. I met Susan when my family and I moved to Santa Monica four years ago. At that time we were looking for a house to rent. She was very professional and efficient in helping us find a nice house in the desired location. Two years later we decided to purchase a new house and we choose Susan as our realtor. For more than a year and a half she worked hard showing us several houses and she never gave up. Susan was even patient with my very specific criteria. I’ve recommended Susan to a friend who has since successfully closed a deal. She is cheerful and professional, and I highly recommend her! Thank you for your razor sharp perceptions and negotiating talents. You made sure the deal went through and I got the home of my dreams. You just powered it through! Jim and I are grateful to be living here, and you were truly instrumental in making it happen.